Aeonix Touch is a state of the art client communications manager that enables enterprises to improve their communications both internally and externally, while saving time and money. 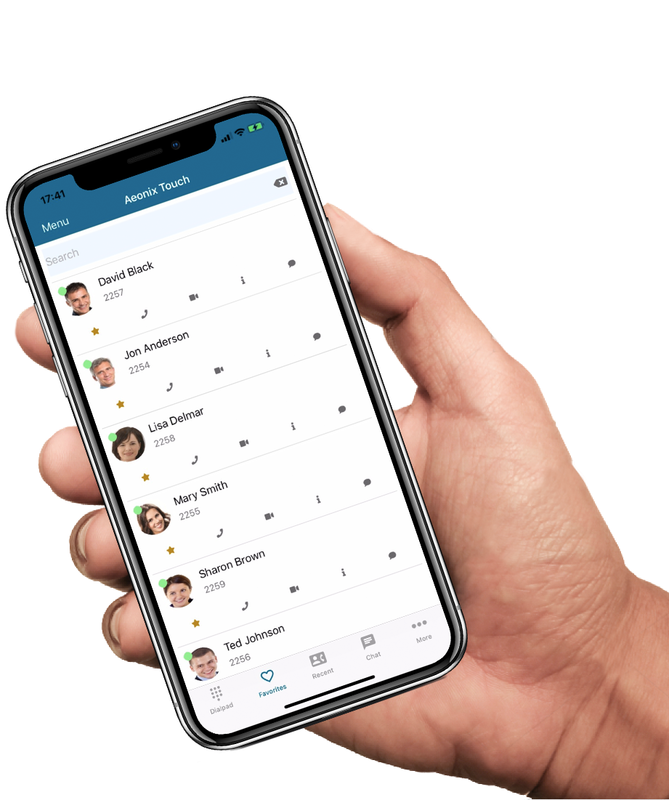 All your enterprise communications tools are available to all users, no matter where they are, to ensure continuous communications and excellent customer service. 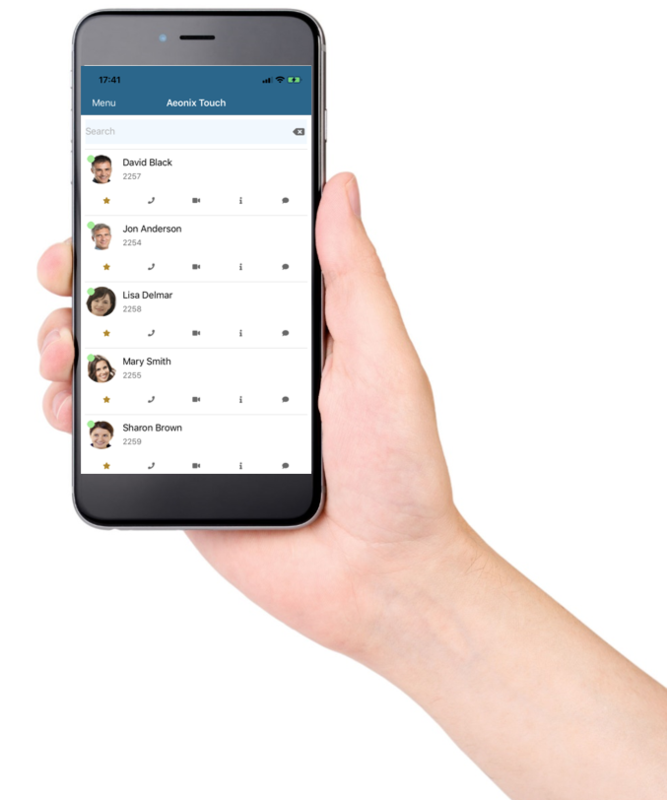 Aeonix Touch users can make and receive Aeonix system calls from devices running on multiple platforms. The Aeonix system can be accessed from anywhere in the world as long as you have access to the Aeonix UC&C server via the Internet. Local subscribers are connected to the Aeonix UC&C server via their local area network.